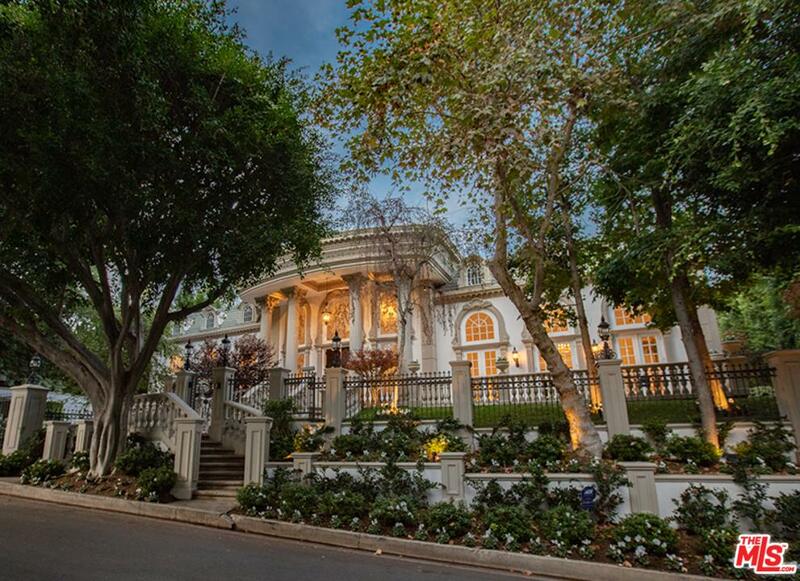 In splashy Los Angeles, the sky is the limit for speculatively built mega mansions. But there’s a new trend emerging that raises the stakes even higher: conceptual mega mansions in the city’s chicest addresses that haven’t even broken ground yet. These sophisticated buyers are also seeking out “an experience” when they enter a residence they are interested in purchasing, says Belson. They want everything that today’s architecture and design provides — from the latest smart technologies to curated furnishings and original artwork — to be ready from the moment they walk in the door. Many design-development teams are even elevating their standing in the residential real estate world by commissioning “super builders.” Belson’s current contractor, Matt Construction, for example, worked on LACMA, The Broad and the Peterson Auto Museum. 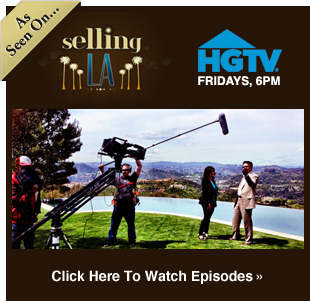 “The idea is that we are giving our buyer something really special,” he says. That “something special” can be found in three premier locations across Los Angeles. 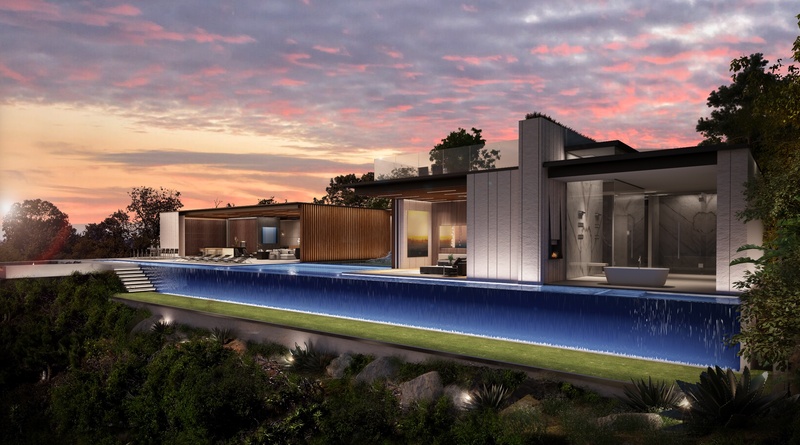 Belson’s 7-bedroom contemporary masterpiece, envisioned by designer Michael Palumbo and Shubin + Donaldson architects, rests at the end of a cul-de-sac and atop a beautiful promontory with unobstructed ocean, city and canyon views in Beverly Hills. Walls of glass and seamless pocket doors open to sweeping unobstructed views and expansive outdoor decking areas. Fire and water elements — a Palumbo signature — are carried throughout the property, creating warmth and a sense of harmony with nature. Lavish amenities are plentiful with an entire level dedicated to entertaining. It’s being offered at $45,000,000 for turnkey and $14,995,000 for land with plans. Set on a hilltop perch on a private stretch of prestigious road in Bel Air, the sculptural gated tennis court residence on Tione Road represents another collaboration between Belson, Palumbo and Shubin + Donaldson. The views — which span from ocean to the West and city lights across Palos Verdes, the Getty Museum, Brentwood and Santa Monica — provided the initial burst of inspiration, but the arched orientation of the 2.6-acre site challenged Palumbo. He says: “We wanted to control the homeowner’s relationship to the vistas below and leverage the natural curve of the site. The idea was to create a cinematic experience, where the layout of the home is completely synchronized with the change in topography.” The team eventually settled on a plan to build a 29,500 square-foot main residence with seven bedrooms, 15 baths, two-bedroom staff quarters and a two-bedroom guest residence, which has its own separate address ,entrance and garage facility. A 3,300 square-foot master suite, lower level bedroom wing with kids lounge area, entertainment space with wine bar and theater are among the amenities. The estate is being offered for $100 million turnkey and $32 million with land and design plans. 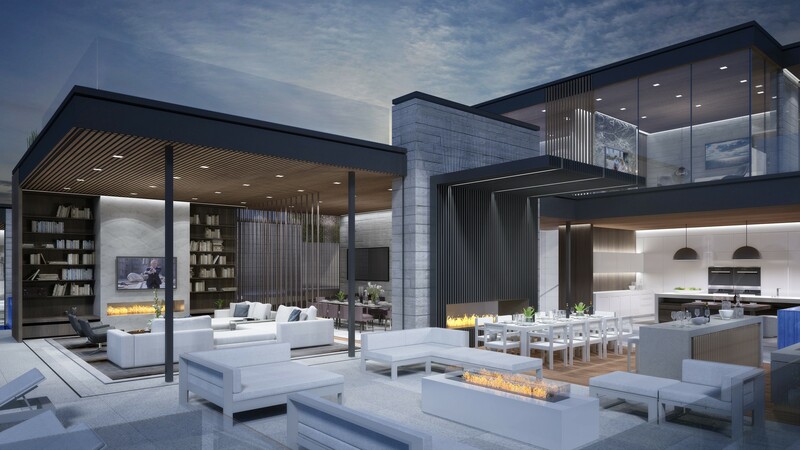 Earlier this month, Palumbo made headlines with another conceptual residence—this time in the Trousdale Estates area of Beverly Hills. His vision for the 24,500-square-foot modernist compound started with the property’s unobstructed views, stretching east, south and west, all the way from downtown to Century City, Santa Monica and the Pacific Ocean. 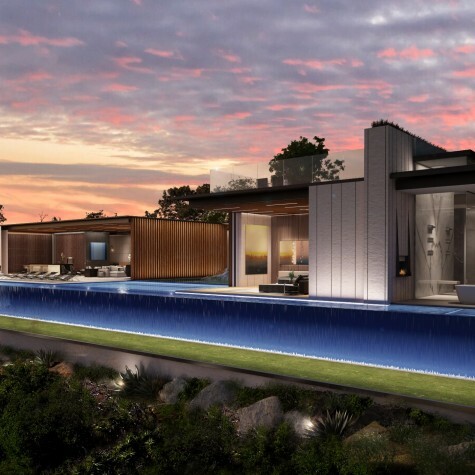 The idea was to fill the flat area of the one-acre hilltop expanse with water — like a continuation of the ocean beyond — and place the house right into the “sea.” The fact that the site rested on Hillcrest — one of the most prized streets in Trousdale— and featured one of the best panoramic views in the city only intensified Palumbo’s fascination. 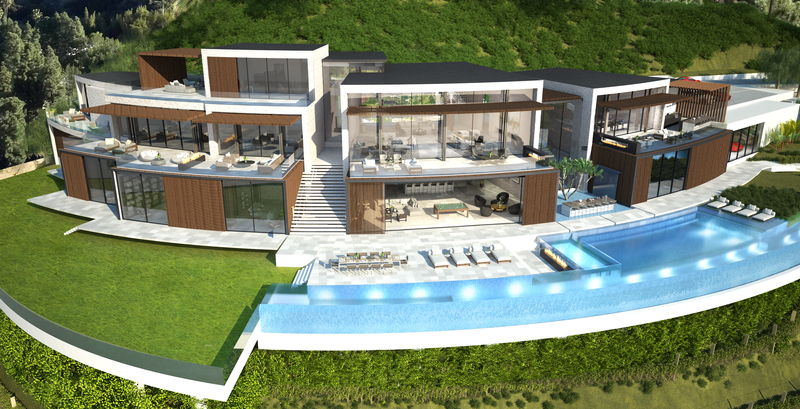 Plans were drawn up with Shubin + Donaldson for a monumental residence that fit right into the Trousdale modernist architectural tradition: seven bedrooms, 14 bathrooms, sunken living room with linear fire elements, great room with a hidden bar, and an 18-seat dining room — all surrounded by water. 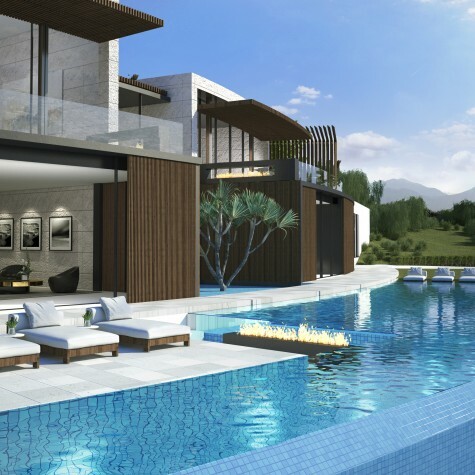 Welcoming pools of water embellish the exterior threshold, which flows seamlessly to the sleek glass foyer with expansive views and a lavish acrylic bottomed pool. It’s an entertainer’s dream, with a professional 2-lane bowling alley, lounge, nightclub, bar, theater room, salon, gym and wellness center and a 140-foot long vanishing edge pool that runs the entire length of the estate. “The tranquility created with the water, the views and the lines, which have been so precisely aligned, bring a very Zen-like quality to the house,” adds Palumbo. The estate is being offered for $100 million turnkey and $35 million with land and design plans. 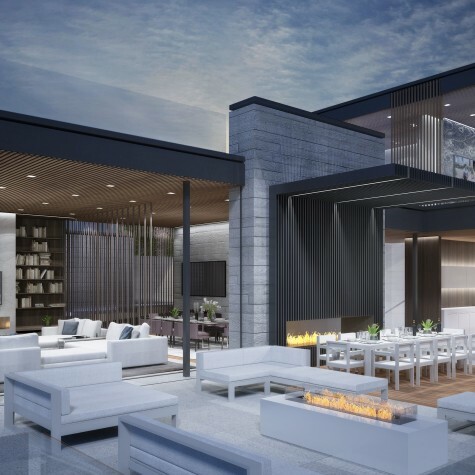 All three concept homes reveal a daring new vision for ultra luxury living in Los Angeles —and serve as reminders that there are virtually no limits when it comes to sheer design innovation, size and price in this rapidly evolving global city. Community Feature: Rolling Hills, California – L.A.’s exclusive equestrian community where country and city convene on the coast.